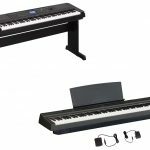 Yamaha EZ 220 and Casio LK 280 are two lighted key pianos for beginner level users. 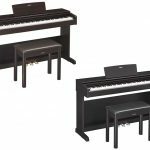 These pianos are designed to help those novice users to learn and take their first step to learn how to play a piano. 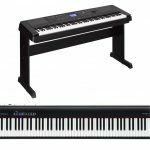 Coming from two widely known companies, both pianos come with rich features as well as competitive price. If you want to know which is better between both of them, you may want to go check our article below. 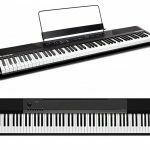 Many people are saying that Yamaha EZ 220 is that one piano suitable for beginners in the entry level but also featured with pretty powerful abilities to make it more than enough. It is important to think about your choice when you are still novice or currently in the first step of learning how to play piano because you can’t spend too much on something you don’t even sure yet. Coming from Yamaha entry-level, you don’t have to worry about the quality as well as the price. From the outside, Yamaha EZ 220 looks a bit wider if compared with some of Yamaha beginner level piano in the P line. The unit measures at 51 x 8 x 20 inches in 24.9 pounds with body made out plastic and speakers on top of each corner. You will also find a pretty wide control panel with a small screen in the middle of it. The controls may look overwhelming for beginner, but you will get familiar with it in no time along your practices. 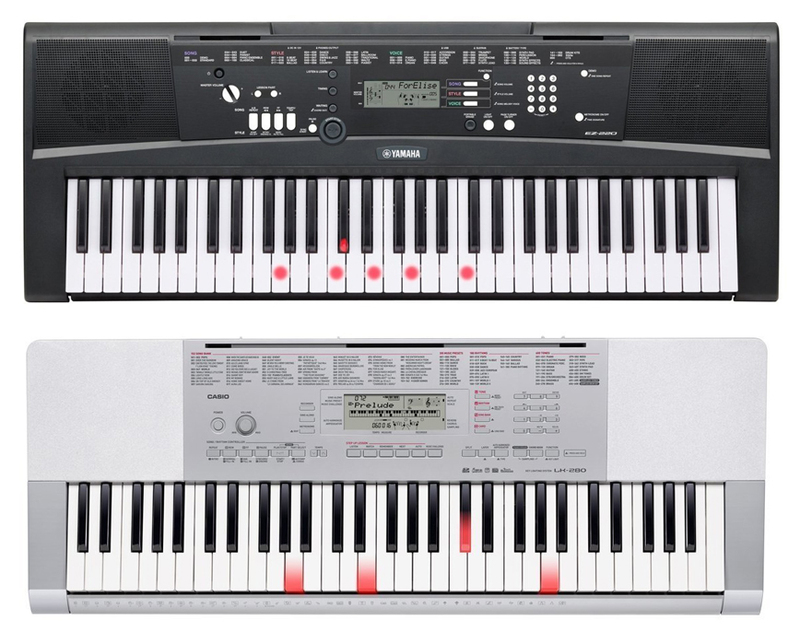 Since it is a beginner piano, Yamaha EZ 220 is designed to help you learning faster with both of your hands. The Light keys in the product description means that the key will light up when you play a song to guide your finger to press the correct notes. This feature seems like a feature for children, but if you don’t have any experience on playing a piano or want to learn from the basic yourself without a teacher, this method is really great to help you get familiar with your piano. There is a song book in the piano that contains 100 popular tunes, such as Fur Elise. As you can expect for a beginner, you will be guided to play the key with one hand and in slower tempo. The Yamaha EZ 220 comes with 392 instrument voices including pianos, synthesizers, strings, guitars, brass, drums and many more. It also has 32 note polyphony counts for better sound. The learning method is divided into 3 ways namely Listen and Learn, Timing, and Waiting, which were designed to let you play on your own pace. 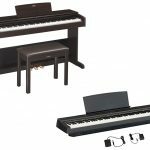 When purchasing the unit, you can choose to get the piano only or spend more and get the bundle that consist of piano stand, power adapter, and a headphone for playing in discreet. As for the connectivity, there is a USB to Host port to let you connect your Yamaha EZ 220 with your computer when you want to use it with a wider range of music programs whether you just want to play around or for education. 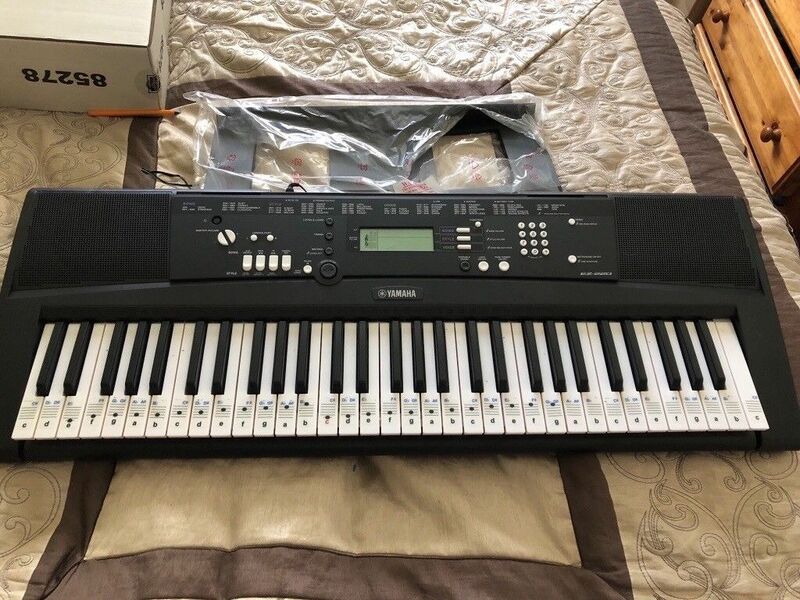 Similar to Yamaha LK20 that we have talked above, Casio LK 280 is also the piano for beginner that want recently want to learn how to play a piano by themselves. Have been released since a while back in 2011, this piano continues being one of the most popular beginner piano not only because it got everything you need to start your lesson but also more affordable than another similar pianos in its class. If affordable and rich in features are what you are looking for, this piano might suit your preference. 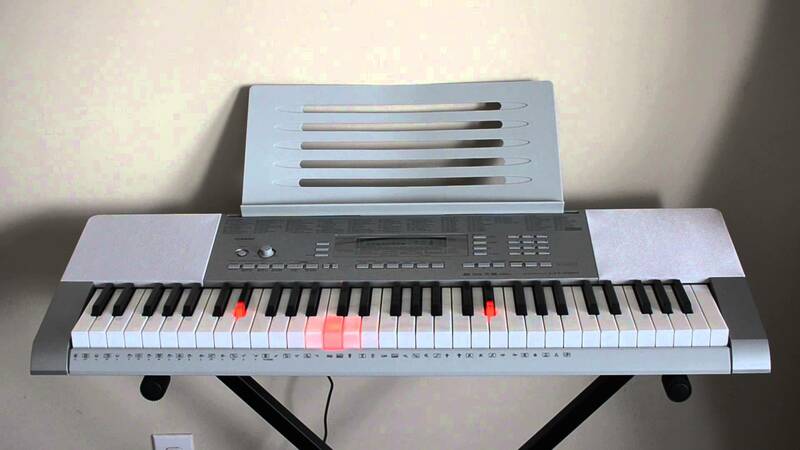 From the outside, Casio LK 280 looks just like your average light key piano. The product measures at 45 x 9 x 22 inches in 25.6 pounds and made out of plastic. At the top of the unit you will find all the controls you need to use the piano featured with a small screen at the center to see what is happening with in front of you. The controls may look too many but along with your practice session, this amount won’t be a problem for long. 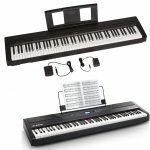 Just like what the name suggest, Casio LK 280 is a lighted key piano, which means the key will lightens up to guide your fingers pressing the correct keys. The method is proven to be effective for a beginner who want to learn without a teacher and ease you in your attempt to learn how to play a piano. Coming right in the package, you will get a bundle consisting of the stand to put your piano, the power adaptor and a headphone when you want to play in discreet. 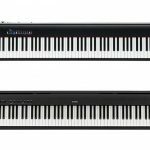 For another beginner level pianos, check our article on Yamaha P71 vs P115 here. 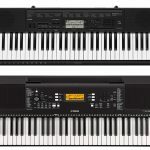 Casio LK 280 comes with 48 polyphony notes, 152 built in songs including 50 practice songs, so you can practice right ahead after your purchase, 600 built in tones, 5 song recorder, and digital effects. If you think that the 50 songs is not enough for you, there is an SD- card slot that you can use to play any MIDI file or record your own song. The piano will let you store 5 songs in the unit but with SD-card, you can store thousands of tunes for it can support up to 32GB card. Another interesting feature comes with Casio LK 280 is the Karaoke mode. You can put your favorite MIDI files in the SD-card and connect microphone in the input on the rear side. Considering the price, this piano did come packed with great features. Now, let’s compare Yamaha EZ 220 with Casio LK 280. 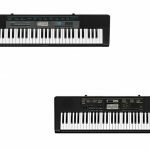 From the article above, we can see that Casio LK 280 is better with its more polyphony counts and more playable songs that means it have better sound and more songs to help you learn. The playable songs in the unit may only limited to 50 but with added SD-card, the amount can be expanded as much as you want. Another great thing is Casio LK 280 also more affordable than Yamaha EZ 220. All in all, the decision is all yours to make. 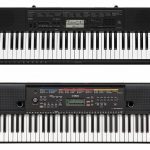 In our opinion, it is better to pick Casio LK 280 for its better features and sounds as well as more affordable price, so in this article we will highly recommend you to choose Casio LK 280 over the rival Yamaha EZ 220.